Her work has been awarded many honors, most recently, the Phillip Freund Alumni Prize for Excellence in Publishing from Cornell University (2017), the Green Rose Prize from New Issues Press (2017), the Split This Rock Poetry Prize (2016), the Picador Guest Professorship in Literature at the University of Leipzig, Germany (2015), and an Iowa Arts Council Fellowship (2014). In 2015, the journal IthacaLit named its annual prize the Lauren K. Alleyne/Difficult Fruit Poetry Prize. 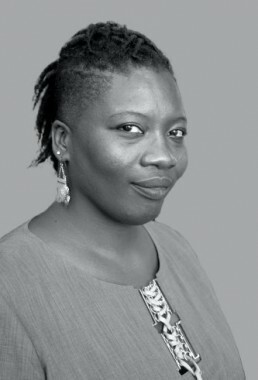 Alleyne currently resides in Virginia, USA, where she is an Associate Professor of English at James Madison University, Assistant Director of the Furious Flower Poetry Center and Editor-in-Chief of The Fight & The Fiddle. A poem for your thoughts? Sign up to keep in touch and receive a poem.